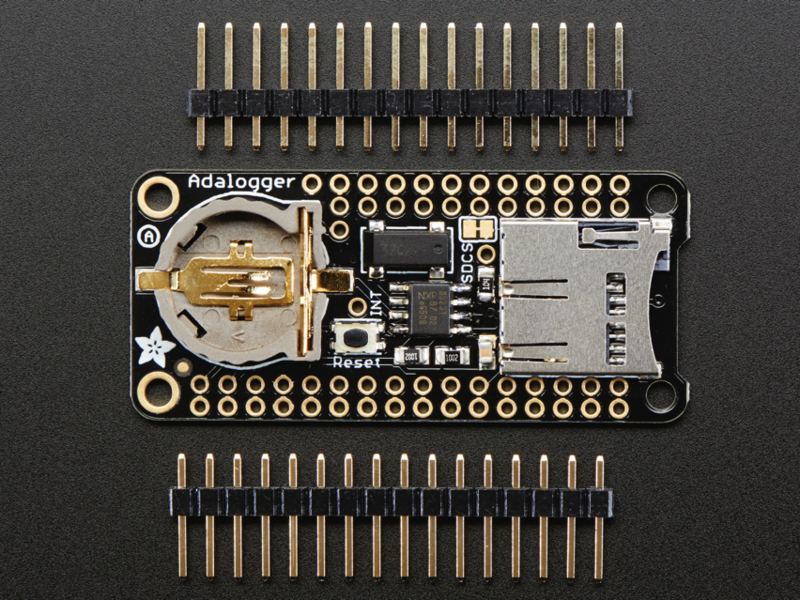 NEW PRODUCTS – DS3231 Precision RTC FeatherWing / Adalogger FeatherWing « Adafruit Industries – Makers, hackers, artists, designers and engineers! A Feather board without ambition is a Feather board without FeatherWings! 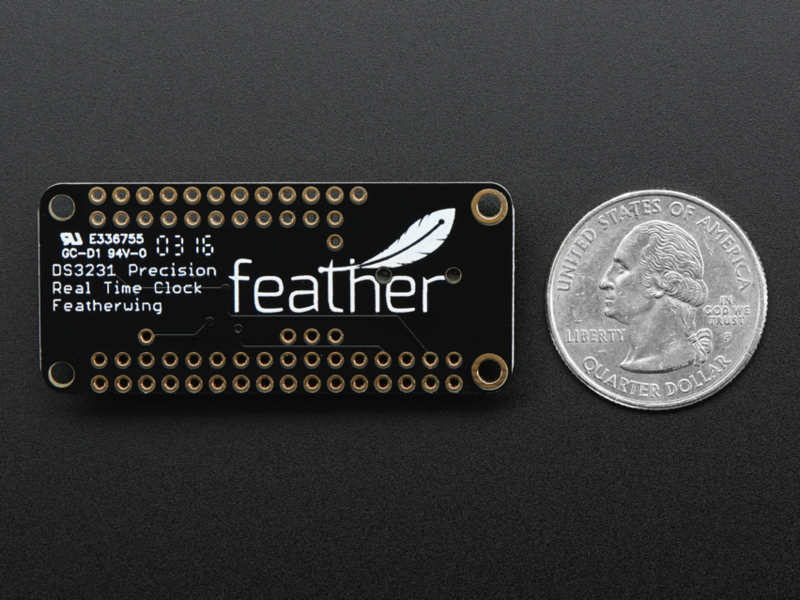 This is the DS3231 Precision RTC FeatherWing: it adds an extremely accurate I2C-integrated Real Time Clock (RTC) with a Temperature Compensated Crystal Oscillator (TCXO) to any Feather main board. This RTC is the most precise you can get in a small, low power package. Using our Feather Stacking Headers or Feather Female Headers you can connect a FeatherWing on top of your Feather board and let the board take flight! Most RTCs use an external 32kHz timing crystal that is used to keep time with low current draw. And that’s all well and good, but those crystals have slight drift, particularly when the temperature changes (the temperature changes the oscillation frequency very very very slightly but it does add up!) This RTC is in a beefy package because the crystal is inside the chip! 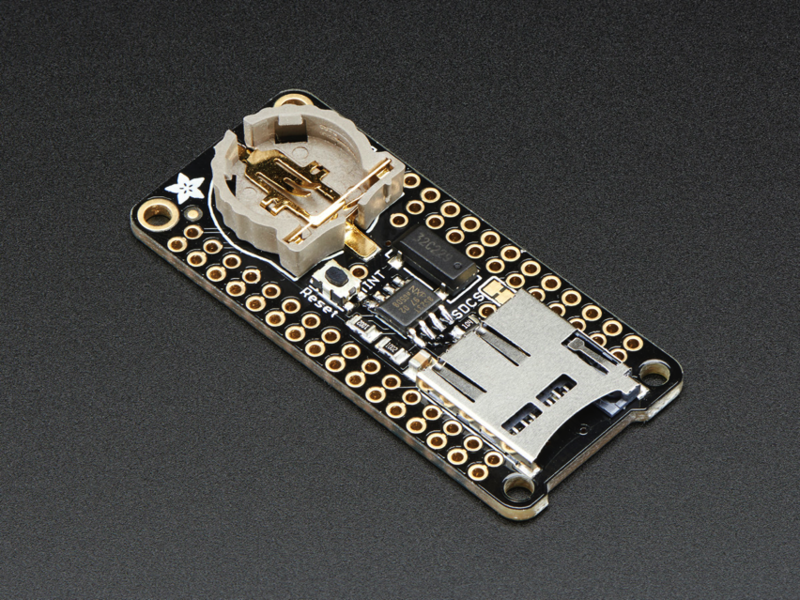 And right next to the integrated crystal is a temperature sensor. That sensor compensates for the frequency changes by adding or removing clock ticks so that the timekeeping stays on schedule. With a CR1220 12mm coin cell plugged into the top of the FeatherWing, you can get years of precision timekeeping, even when main power is lost. 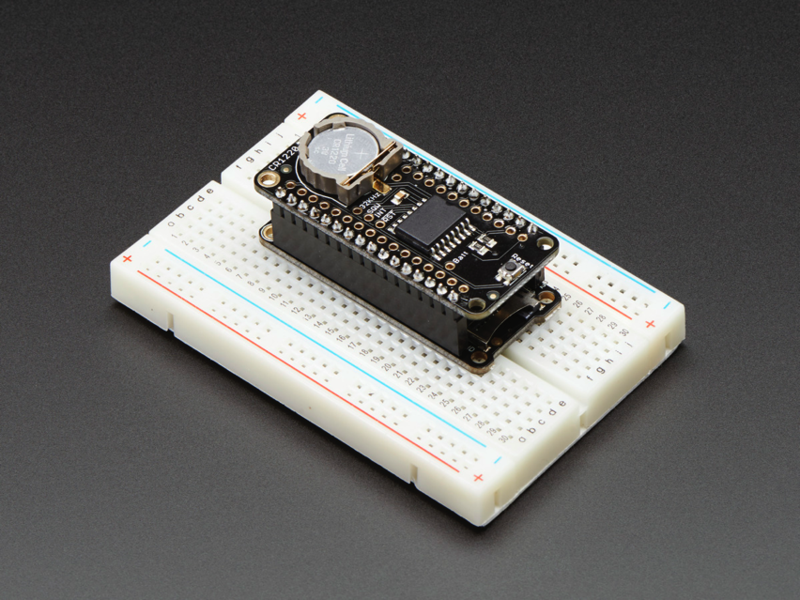 Great for datalogging and clocks, or anything where you need to really know the time. 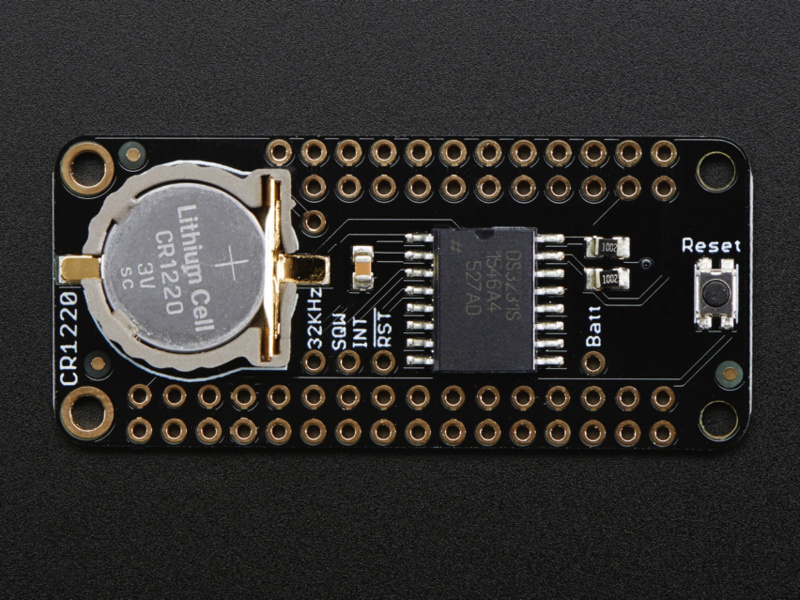 A CR1220 coin cell is required to use the battery-backup capabilities! We don’t include one by default, to make shipping easier for those abroad, but we do stock them so pick one up or use any CR1220 you have handy. Does not come with a micro SD card. 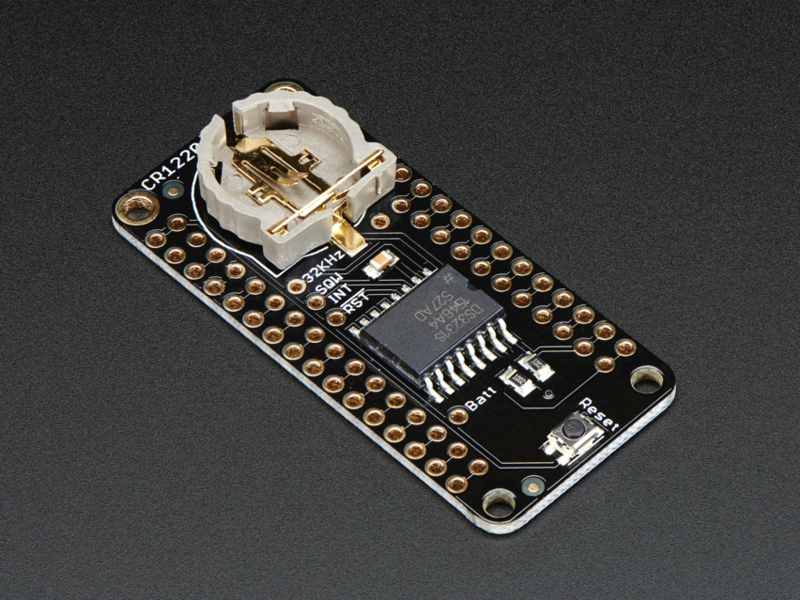 A CR1220 coin cell is required to use the RTC battery-backup capabilities! 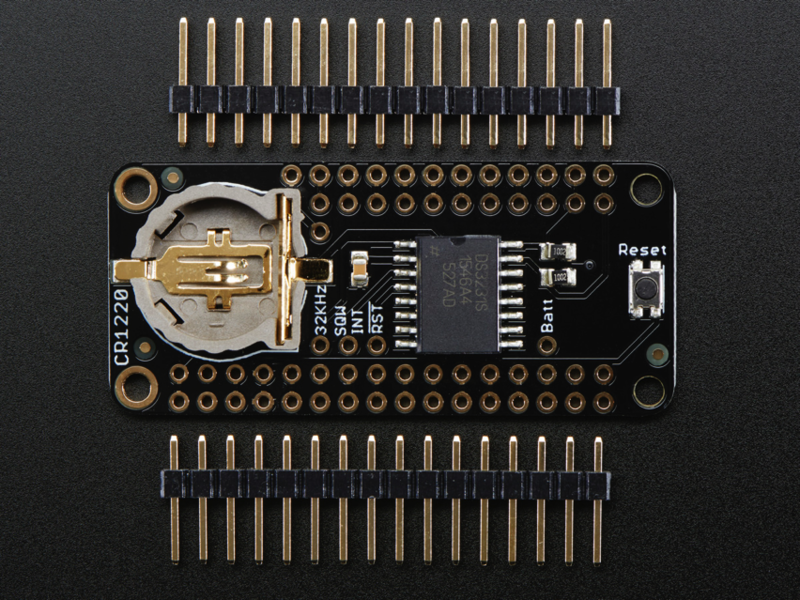 We don’t include one by default, to make shipping easier for those abroad, but we do stock them so pick one up or use any CR1220 you have handy. 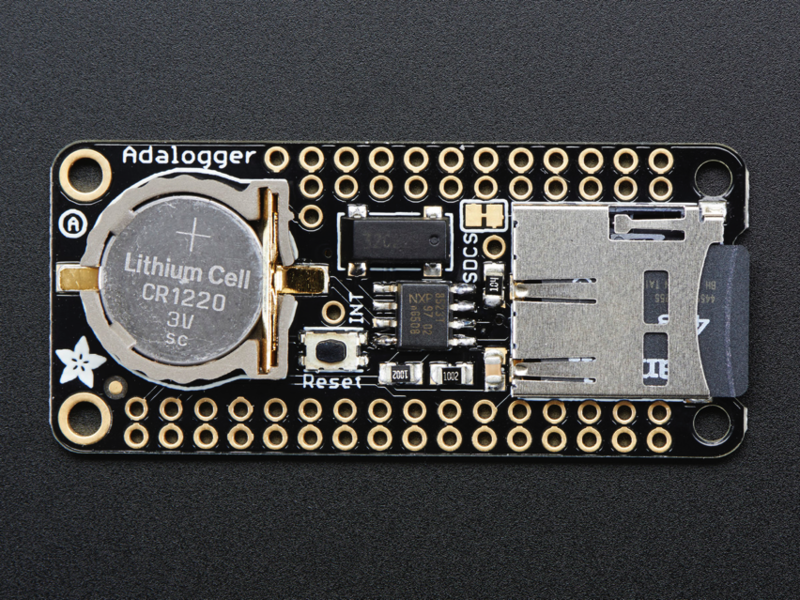 If you’re not using the RTC part of the featherwing, a battery is not required.